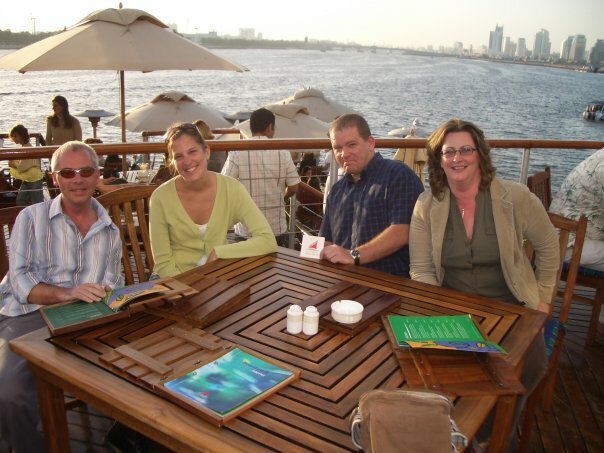 Amanda Settle is a Brit who turned expat in 2006 when she headed out to Kuwait to teach English. She met her husband a fellow brit and their expat adventure began. They lived in Dubai from 2007 to 2009, Amanda then moved to Qatar but her husband stayed in Dubai and they commuted between Dubai and Qatar. In 2013 that all changed when they moved to the Greek island of Rhodes. 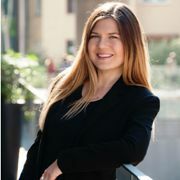 Amanda’s husband works away for half the year while she is living the Greek life with their animals, travelling around the area and blogging about it over at Olive, Feta & Ouzo. 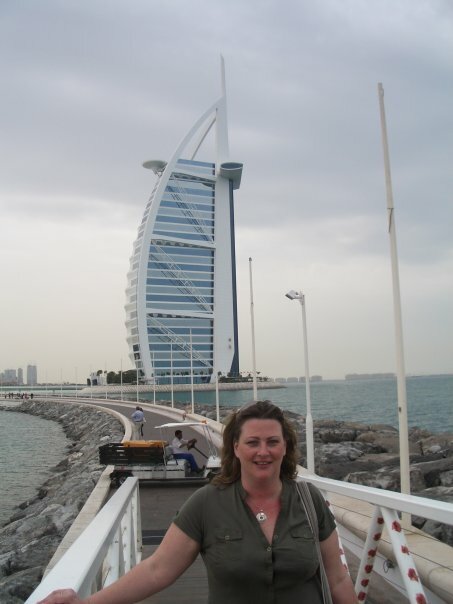 Amanda sat down with Passion for Dubai to share her memories of living in Dubai. 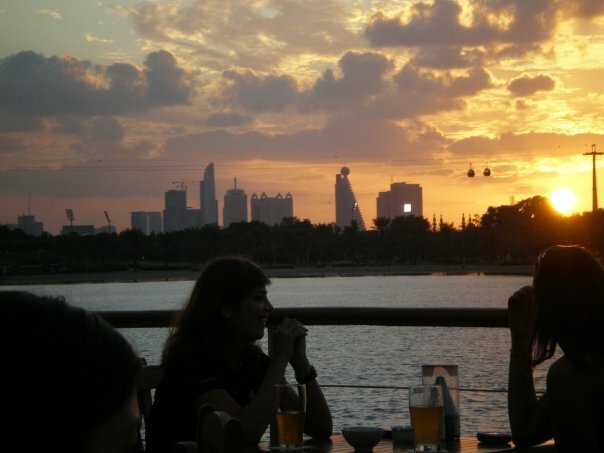 PFD: What are your best memories of living in Dubai? AS: While living in Dubai we had some fun times, there was always something going on. From going to events like the Dubai Rugby 7’s to having Christmas lunch in the sunshine. Camping on the coast of Dibba and seeing Bob Geldof on St Patrick’s Day in the Irish Village. If you like shopping Dubai has the largest malls you’ve ever seen, The Dubai Mall has it’s huge aquarium and The Mall of the Emirates has it’s ski slope along with a the Apres Ski bar. 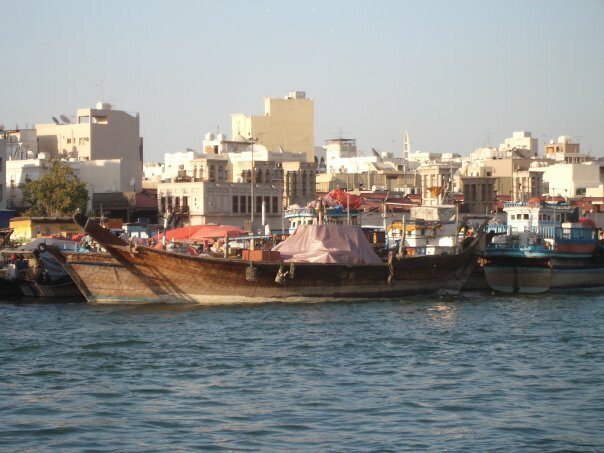 The Madinat Khalifa with it’s waterways and traditional souq style buildings or the Ibn Battuta which takes you on an international journey through the many different countries that the explorer took and teaches a little about the history of the region. 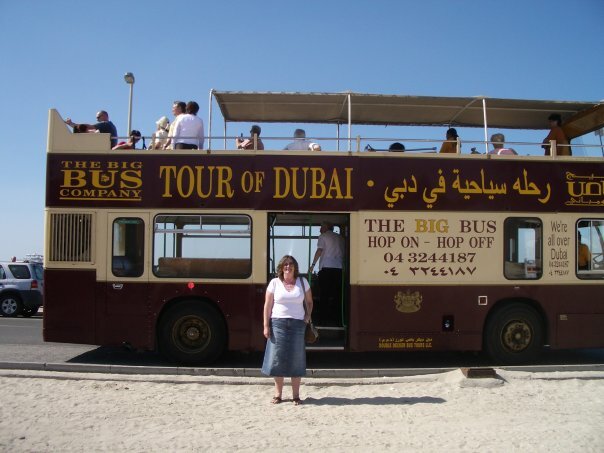 AS: For the first time visitor I’d recommend The Big Bus Tour, go for the 48 hour hop on, hop off option and you will see all the major spots with time to explore them all. Then you can always go back and visit later in your own time. The commentary on the buses is in different languages and the guides and maps are all very helpful. 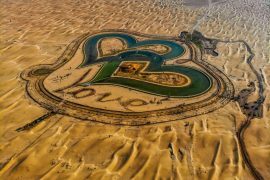 AS: The best view of Dubai is from the air. 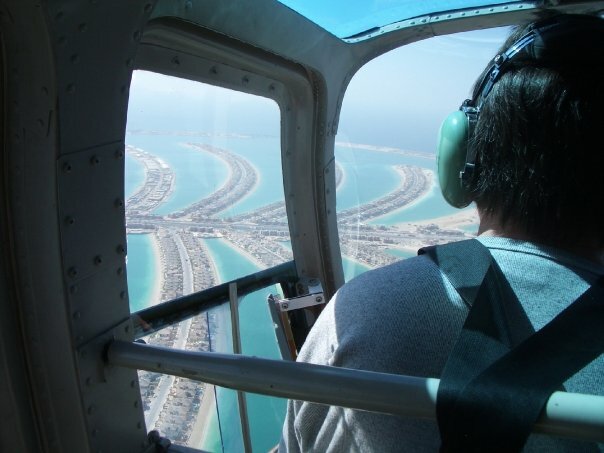 You can really appreciate the architecture and layout with a view from a helicopter. If your budget won’t stretch quite that far then go up to the restaurant level of the Dust Thani and you’ll get the best view of Sheikh Zaid road and the Burj Khalifa (tallest building in the world). 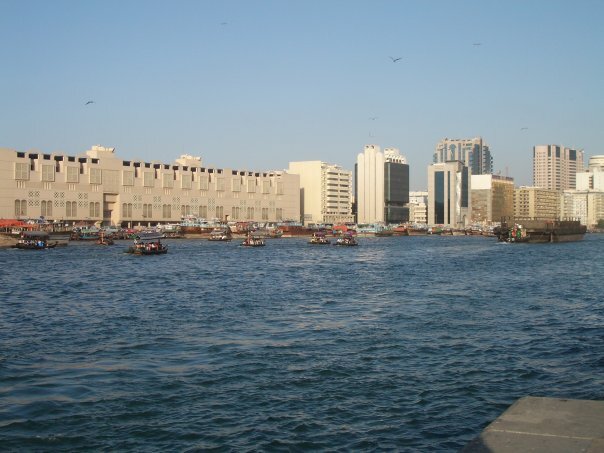 AS: The best local experience would be going for a wander around the old souqs in Bur Dubai and taking an traditional abra ride on the creek. It gives you a sense of what Dubai was once like. AS: In Dubai you are spoilt for choice when it comes to places to eat and rarely have a bad experience. Overall most places will offer great service and international cuisine of good quality. For brunch it would have to be the Al Qasr, sheer luxury and indulgence in a wonderful setting. Spread across 3 restaurants with live music and champagne cocktails. For family friendly daytime The Lime Tree Cafe with great food they value organic, fair trade and free range so you know the food you’re getting is good quality as well as tasting great. For a relaxed daytime with friends, or a romantic evening then The Boardwalk over looking the Creek is a great location and always had great food. 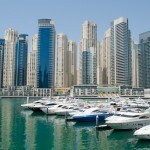 AS: The local food in Dubai is mainly Lebanese with grilled meats, humus and salad. Greek food here has a lot more in common with Middle Eastern food than they do with other european foods. 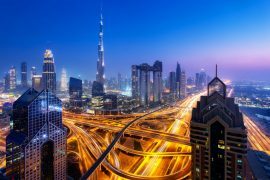 AS: Dubai can be many different cities and is to people from all over the world. It’s a melting pot of customs, cultures, language, art and food. There’s been an emerging art culture in recent years with galleries and displays, museums and theatre. 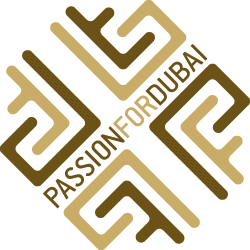 It’s a great place to see live music with many top artists from around the world performing either in Dubai or Abu Dhabi. 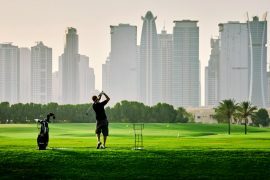 It’s a great place to explore the rest of the UAE from, with each Emirate offering something slightly different. 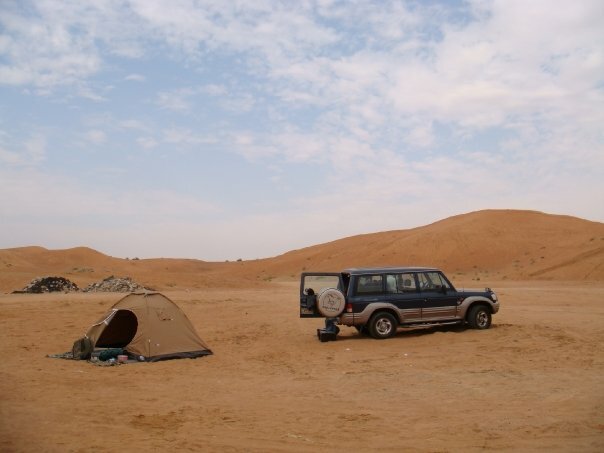 One of my favourite pastimes in Dubai was camping. Getting out into the desert or on a beach with a group of good friends, lighting a BBQ and talking the night away. 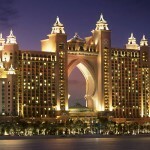 PFD: What should someone pack for their trip to Dubai? AS: When packing your case for Dubai remember to take a cardigan or wrap. Inside during the heat of summer public places can be very chilly in the air-conditioning. You also never know when you may feel the need to cover your shoulders to show respect to the muslim culture in the UAE.